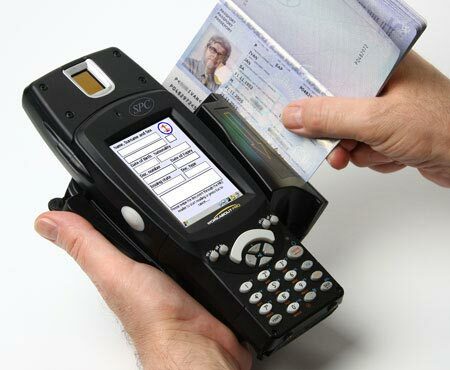 The new MDR-1 document reader fulfill the needs for fast and reliable reading , verification and authentication of personal documents such as passports, visas, ID cards and driver licenses. The MDR-1 offers superior flexibility with various configuration options and has unprecedented data capture capabilities. Mainly employed for border control or airport security, MDR-1 is also excellent choice for mobile deployment in immigration offices, consulates and for commercial applications such as in hotels, banking or access control applications. The optical sensor capture, reads and recognize fingerprints with 500 dpi resolution. Optionally with embedded database for templates, or with WiFi connection, verification time is < 0,8 sec. Sensor of the Iris Capture Camera is working in distance 3~5 cm, with 50 Lux~10,000 Lux illumination, achieving recognition speed 0,1~0,2 sec. The High Power UV LED Bars integrating white light and UV light in 365 nm are designed for easy checking of travel documents, banknotes, checks, or personal documents on security paper. SPC delivers full fledged Software Application with Front-End functionality and Back-Office implementation depending on customer requirements. MDR-1 can be delivered alternatively with Software Development Kit [SDK], enabling customers to develop their own customized application.